SANTA FE, N.M. — Maya Cifuentes was recently inducted into the National Honor Society. Maya is an eighth-grade student and Seminole Tribal member who attends St. Michael’s High School in Santa Fe, New Mexico. Since middle school, Maya has held a cumulative 3.84 grade point average and has excelled in her classes. This scholar is currently enrolled in three Honors courses and is earning high school credit during her eighth-grade year. 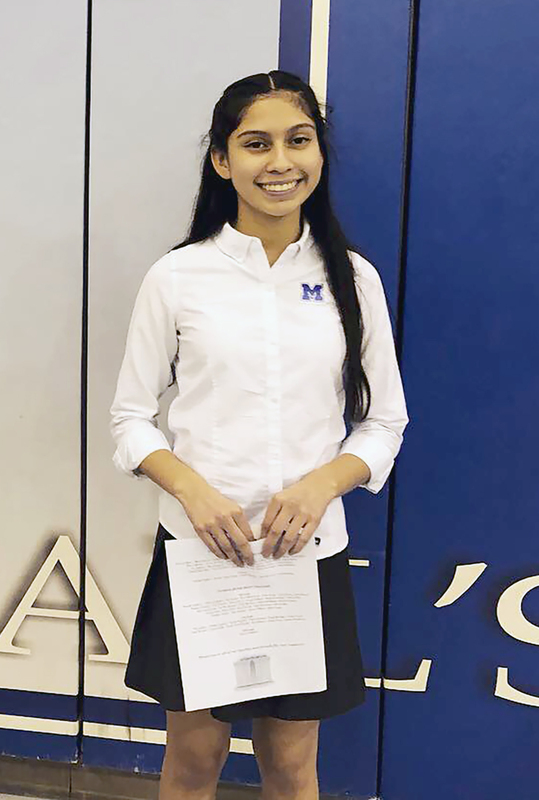 St. Michael’s affirmed Maya’s academic achievements by inducting her into the National Honor Society in March. Maya is the child of Shannon Cifuentes.